Have you ever dreamt of living in a neighborhood where neighbors knew each other, helped each other in times of need, and celebrated the good things in life with each other? Join us over the next 6 weeks as we explore how this could happen in our neighborhoods, and in turn, happen in our Region! 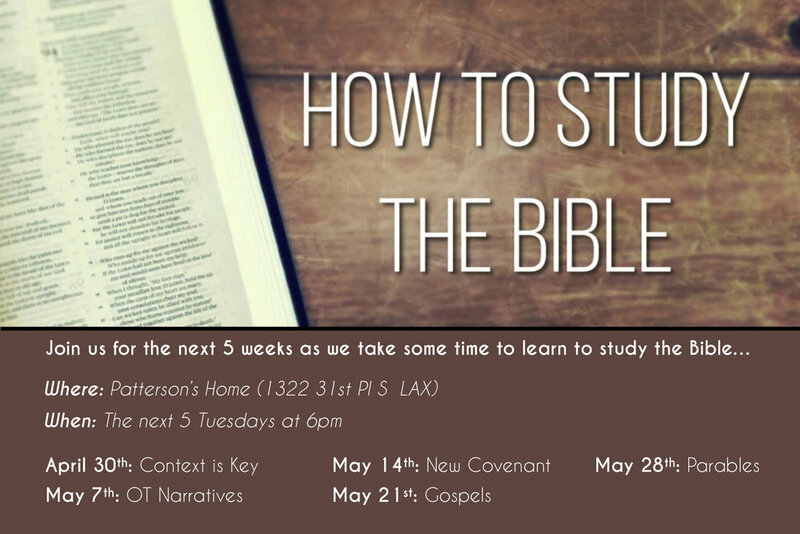 Join us for 5 weeks as we take a look at how we can study the Bible and get the most out of it. Every Tuesday night at 6pm from April 30th-May 28th. Are you a parent that needs a break? Come and drop your kids off at our building from 5:30 to 8PM and we will feed them and look after them while you take a much needed break. Go out for a meal, go for a walk, or go take a nap without interruption! Your kids will have a blast and we hope you will too! Join us as we celebrate the fact that Jesus is alive! Feel free to invite your friends, neighbors, and co-workers…especially if they don’t have a church home to attend this Easter. There will be music, a relevant message, and kids church in a casual environment. We hope you and your friends and family can join us! 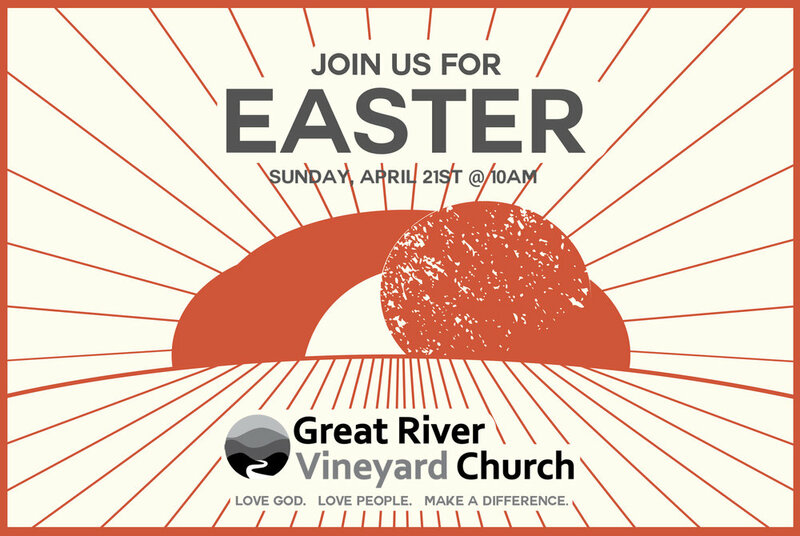 Join us Easter morning before our Easter Service where we gather together and worship and thank Jesus for all He has done for us in a more intimate setting. We will meet at our building at 7am and travel down to the River Front for a time of reflection. We will then head to breakfast together and then head home to get ready for our 10am service. Hope you can make it! Come and celebrate Good Friday with us. This will be a family service from 6-7pm, where we take a look at Jesus’ love for us as He willingly went to the cross for us. Join us for our worship service! Join us for a missions trip to Puerto Rico! Join us for our service! We will be gathering everyone who serves our community under one roof for a great party! Join us for an all church night of worship.